When you’re the final case in a well-regarded trilogy, living up to the previous entities hype can be a very tall order. With Ace Attorney season two having wrapped up its adaptation of the third game, Trials and Tribulations, we’ve been able to see how certain stories and characters reached an intense culmination spanning back to the first season or first two games. As an adaptation, the anime has faithfully recreated what makes this final case so well by not only giving it the time it deserves to feel important, but also giving you the same feelings as when you play the game. There are also little nods to the game such as utilizing key pieces of music and sound effects in critical sections that allow you to feel as if you are playing the game again. 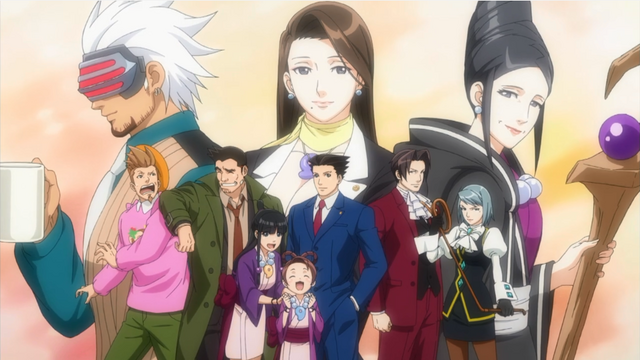 Bridge to the Turnabout is the perfect way to end the first trilogy and caps off Phoenix Wright’s (Naruhodo Ryuichi) final part as the sole protagonist of the series. To get at what makes this case good, we have to go back to two cases before it in the anime—before the events of the entire series had taken place. Here, the anime actually divulges from the game by placing Turnabout Memories before the final case instead of as the beginning case. Normally, this case is your tutorial case, but the second season begins with the second game, Justice For All’s beginning case since the first season skipped it. It’s a bizarre change for those that have played the game, but once you look at it within the context of the anime, it actually works to put it closer to the end to keep the story fresh and in your mind. That look into the past at Mia Fey (Ayasato Chihiro) getting her start as a defense attorney is crucial to what happens all throughout Bridge to the Turnabout as it ties all of the connections between her and Phoenix, Dahlia Hawthorne (Miyanagi Chinami), and Godot. These relationships become intrinsically tied together with the events that occur at the Hazakura Temple. With just those, this would be a good way to wrap up the final story of the first trilogy, but it doesn’t stop there. There are crucial stories that had yet to wrap up in the first two games or first season that had been left unsolved…until now. The infamous DL-6 case from midway through the anime and the last case of the first game was where we were introduced to an unsolved mystery: what happened to Mia and Maya (Ayasato Mayoi)’s mother after DL-6? We learned why she suddenly disappeared, but never where she went and that continued through the rest of the first season and up until this case. However, she shows up under a pseudonym, which doesn’t allow Maya to have her reunion with her mother. Instead, it’s not revealed until the murder case is underway that she’s actually Misty Fey (Ayasato Maiko) which throws everything into chaos since there once again comes a possibility that Maya was the alleged culprit. The Fey family mysteries don’t stop there either. 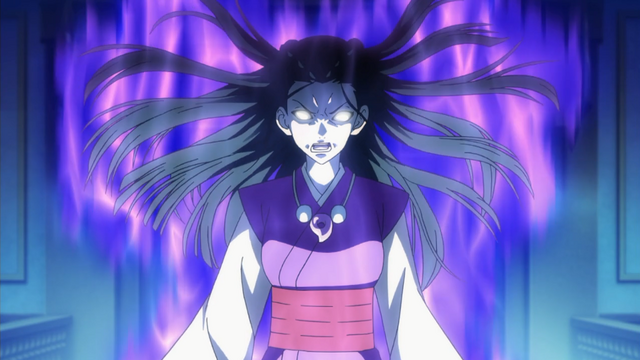 One of the antagonists from the second game and the latter half of season one, Morgan Fey (Ayasato Kimiko) returns with another plot to make Pearl (Ayasato Harumi) become the Master of the Kurain Village. We get more connections as Pearl wasn’t her only daughter, as she was also the mother of Dahlia and her twin sister Iris (Ayame), who both become involved in the case since Iris is the accused and Dahlia returns to life thanks to the help of spirit channeling. 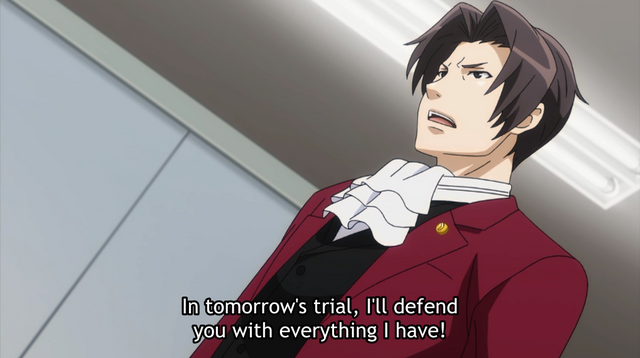 If that were all the connections that go back to what happened earlier in the series, it’d make for a wild finale, but there’s still more since Miles Edgeworth (Mitsurugi Reiji) and Franziska von Karma (Karuma Mei) also show up to help out in a time of need. The return of Miles and Franziska show how far they’ve come from their initial debuts. Miles is seen more as a friend after the battles Phoenix has against him and the wall between the two collapses following the DL-6 case. Franziska is still a little rough around the edges to everyone, but she’s gained respect for Phoenix after all of their battles. To have the two of them come back to help Phoenix when he gets hospitalized shows what they think of him to get this case extended so he can finish it himself. It’s fun to see Miles put on the defense attorney’s badge and fulfill his dream from when he was a kid and help out Phoenix, especially since there isn’t a lot of time throughout the original trilogy that they are able to work together like this. Similarly, it’s interesting to see Miles and Franziska go head-to-head after growing up together and putting their skills against each other to see who the better lawyer is. Outside of all the fun though, there’s still a court case that has plenty of twists and turns that has become the Ace Attorney standard for final trials. From the question of there being two identical versions of Iris, to Misty’s true identity, Dahlia returning to life, the implications that Maya killed her own mom, and what Godot had to do with everything, Bridge to the Turnabout takes you on a rollercoaster of emotions that don’t let up until the very end. Everything gets tied together, stories that have lasted through the series to this point are finally completed, and it’s a grandiose and epic way to finish. Season 2 of Ace Attorney does a great job of capturing all the feelings you get when playing this case and conveying them to viewers. 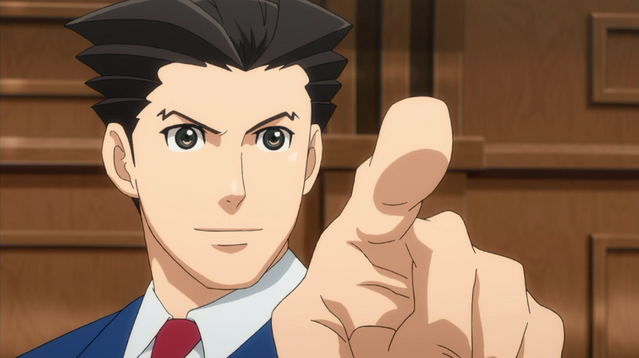 With the first trilogy of games from the Ace Attorney series now completely as an anime, it’s going to be curious to see if the anime continues and adapts the next trilogy of games: Apollo Justice, Dual Destinies, and Spirit of Justice. With how season two went, those games should get their time to shine as anime. For now, we can celebrate knowing one of the best cases, from one of the best video games, was able to be adapted wonderfully and prove why it is one of the absolute best parts of the entire series. 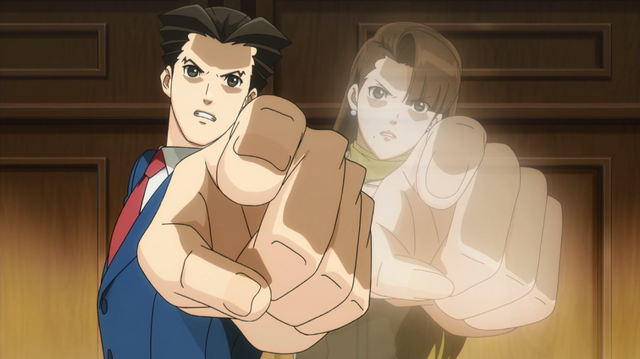 What’s your favorite part of the Ace Attorney anime and which parts would you like to see adapted if it continues? Let us know in the comments below! Jared Clemons is a writer and podcaster for Seasonal Anime Checkup. He can be found on Twitter @ragbag.